Home » Blog » 3M ESPE AND QUANTUM DENTAL TECHNOLOGIES: A MARRIAGE MADE IN HEAVEN! 3M ESPE AND QUANTUM DENTAL TECHNOLOGIES: A MARRIAGE MADE IN HEAVEN! By Marielle Pariseau in Blog on October 10, 2013 . St. Paul, Minnesota – 3M ESPE and Quantum Dental Technologies (QDT) have entered into a cooperative marketing agreement whereby a sample kit of 3M ESPE’s innovative fluoride products will be provided with each new sale of QDT’s Canary System™ in the United States. This partnership mirrors the relationship that already exists between QDT and 3M ESPE in Canada. The Canary System can detect and monitor lesions that are subsequently treated with 3M ESPE’s innovative Clinpro™ 1.1% Sodium Fluoride Anti-Cavity Toothpaste. Working in tandem, these two products are able to provide a comprehensive solution for the detection and treatment of early-stage caries. 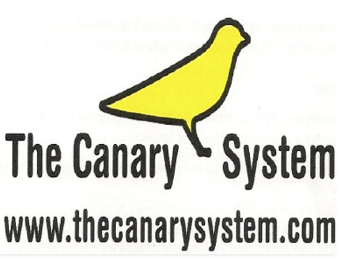 Every purchase of The Canary System in North America comes with a 3M ESPE “Welcome Kit” containing Clinpro 5000 toothpaste and Vanish™ 5% Sodium Fluoride White Varnish. 3M ESPE’s Clinpro 5000 toothpaste and Vanish varnish are market leaders in the fluoride category. The Canary System provides oral health professionals with information on the status of the crystal structure of enamel so dentists can effectively detect, monitor and treat cracks and caries before they are visible on x-rays or detected with other technologies. “The Energy Conversion Technology, which is the platform for The Canary System, is a safe non-invasive system for detecting and monitoring defects in the crystal structure of the tooth” said Dr. Stephen Abrams, President of Quantum Dental Technologies. “Working with 3M ESPE, we can now provide the dental community with a robust treatment plan for the management of caries”. “By pairing 3M ESPE’s proven Clinpro 5000 1.1% Sodium Fluoride toothpaste with accurate, early caries detection using The Canary System, we are able to provide excellent caries management”, said Karen Capiz, US Marketing Manager for the Prevention Portfolio of 3M ESPE Dental Products Division.